Gilas Pilipinas started their campaign in 2014 Asian Games with a blazing victory against India with the score of 85-76 Tuesday, September 23, in Incheon, South Korea. Gilas was on fire and did not waste time to mount a score of 16 in the first quarter. India could not hold off Jeff Chan who scored the straight 8 points including three point shots. LA Tenorio did not hold back as he shot into the baskets. 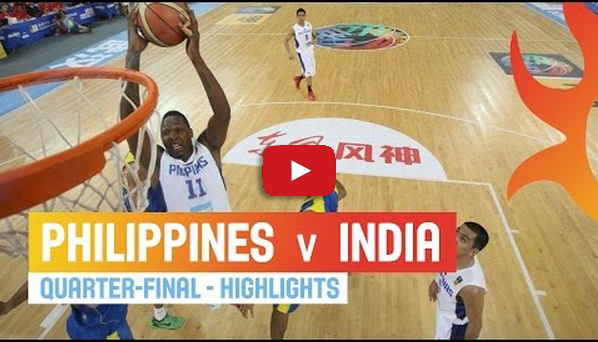 With five minutes before the first quarter end, India tried to shorten the lead and scored 16 while Gilas lead with 24. In the second quarter, the team up of Gary David and June Mar Fajardo lead on the team as they put both the inside and outside ablaze making Gilas lead by 17 point until India fought bake with a three pointer. After coach Chot Reyes called the team for a time out, Japeth Aguilar impressed the audience with his alley-oop. Towards the second half, Gilas did not tire out and kept the court on fire lead by Marcus Douthit and Tenorio. Together they built up 10 more points for the lead scoring 62-44. India still tried to steal and crush the lead but to no avail against Aguilar’s shots on the baskets. Third quarter ended with70-56. Ranidel de Ocampo helped in catching the victory and contributing in the lead score of 19 points. Filipinos soon got the confidence until India scored 11 consecutive points, giving fans a faster heartbeats since there was only 44 seconds left. Fortunately, the time was not enough for India to steal the game from Gilas especially when Jimmy Alapag ended the game from the free throw line. Aguilar and Tenorio had 10 points each, Fajardo shot 12, David scored 13 while Chan and Douthit both contributed 14 points. Fajardo stole 9 rebounds while Douthit grabbed 10.